I have made this frame with Alison Ellis Eastern Elements paper, really gorgeous paper with hints of metallic gold running through it. 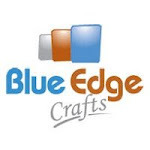 Blue Edge Crafts have some super new Birch Robot Papers. Here are a few of the projects I have complete using these papers which have a beautiful varnished finish and just a touch of glitter. 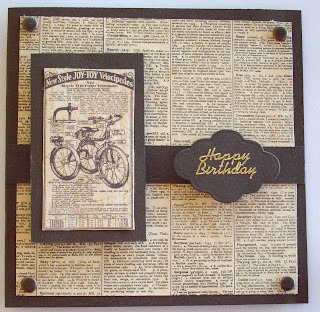 The first is a combined scrap page and photo frame. 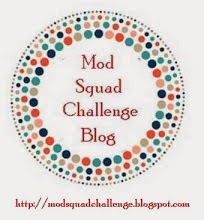 Every two weeks on Craft Mad, we have a Create and Chat night where we get together online and make a project or learn a new technique. We also chat, giggle and gossip. Today I would like to show you a handbag album we made recently. This week I am going to revisit some of the projects I have made for Craft Mad. The first one is a swap we did earlier in the year where we swapped a calendar. 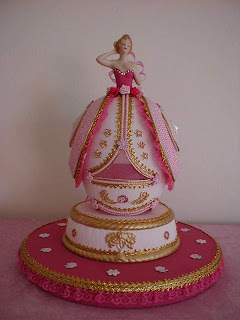 This is a perpetual calendar for birthdays and special occasions. To make this calendar you will need: 1 piece 30cm x 30cm 3mm mdf board, alternatively heavy card or chipboard could be used. Two 30cm x 30 cm sheets white Bazzill One 30 x 30 sheet patterned paper Three 30 x 30 sheets blue Bazzill 6 sheets white A4 card Note book 2 screw hooks 1 bulldog clip Alternatively if you are using chipboard/heavy card you will need 3 bulldog clips 40 cm ribbon Note: Any colours of your choice may be used. 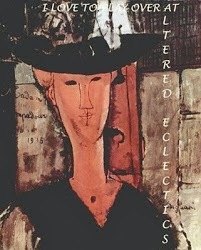 The colours used in these instructions are for the photograph shown and are used purely as a guide . An easy idea for a table decoration for your next party. 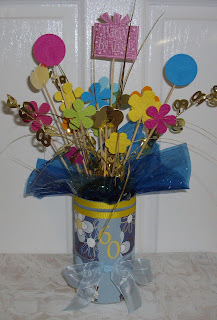 I have used recycled coffe cans and covered them with patterned papers and added some ribbons.The flowers have been cut mostly from craft punches and the parcels and circles were cut on the Cuttlebug and attached to wooden skewers. I added some bling with sequin stems and some cellophane in the top of the tins. At the end of the night we drew names out of the hat and a few happy ladies took one each home. 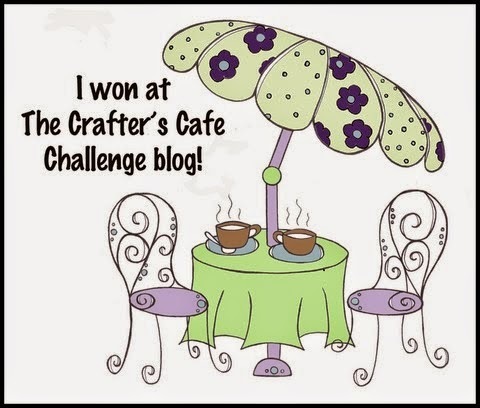 I hope you have enjoyed my blog this week. This is another card using some of the new Birch range of paper from Blue Edge Crafts. 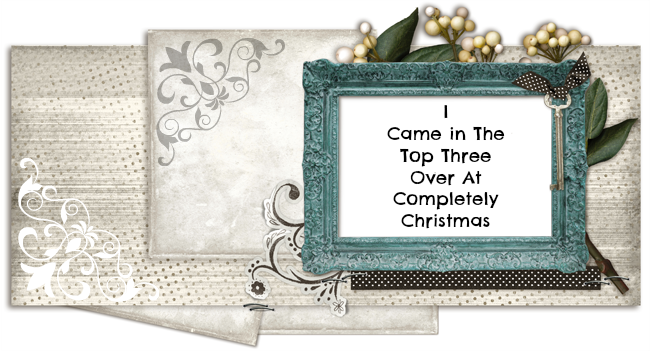 Lots of pretty designs with a touch of bling in this range suitable for cards and scrapbookpages. 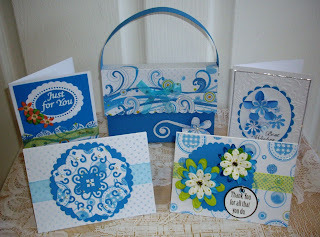 I have made this card using the fabulous new Birch Robot paper from Blue Edge Crafts . 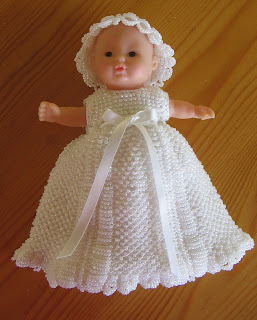 This is one of my favourite dolls. She is only tiny, about 15 cm tall. Her dress and hat are beaded knitting. 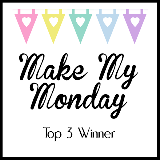 I hope you have enjoyed looking at my blog this week. 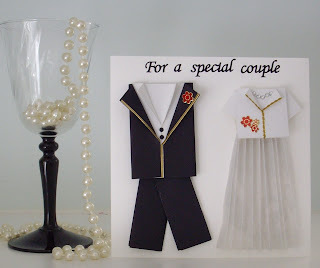 Todays card is a wedding card. I found this pattern in a book "Shirts and Shorts " by Can Do Crafts. 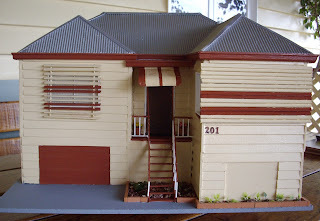 Todays post is a model of our home which Ron built. I have also included a view of the back of the house. 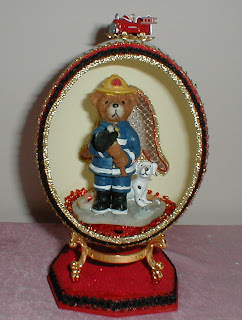 I made this egg for my hubby Ron who was a firefighter for 30 years. He cut the egg with an oval opening at the front and a helmet shape at the back. The Cupcake Album is from Kaisercraft, I covered it with corrugated card and glitter paper and added matching flowers, title and some ribbons. 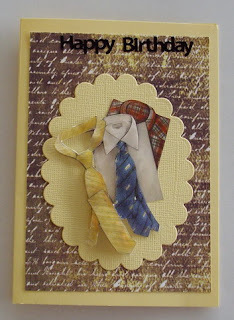 I then made a card in matching colours fro a special birthday gift. I covered a box inside and out with Birch ABC paper. I made Thank You, Birth Announcement and Christening cards, wrapped them with ribbon and added them to the box along with a few baby items, brush and comb and teddy bear etc. 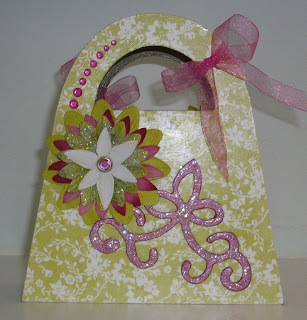 I really love Spellbinders dies and thsi card was made using the Renaaissance Hearts die. This egg has been cut from two ostrich eggs one for the skirt and the other for the overskirt. The overskirt has been completely handbeaded. This was one of my entries into the Royal Brisbane Show and was awarded 3rd prize. Todays card was made for a friends birthday using a 6"x 6" card layered with patterned paper and an image added as well as brads and a greeting. I made this handbag using a Kaisercraft kit. I ocvered the wooden handbag with patterned paper and added flowers rhinestones and a swirl which I painted, glittered and added Dimensional Magic. 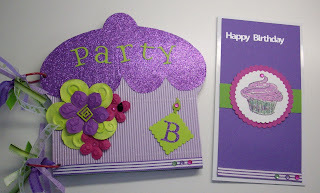 I have used a 6" x 6" canvas and covered it with patterned paper, added a CD and embellishments to make a different type of birthday greeting. 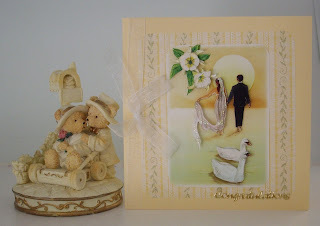 Todays card is a 3d wedding card. I have backed the 3D image with patterned paper and added a ribbon.